A mobile phone is a portable electronic device, which is considered as the best medium to communicate with others. With the growing speed of technological developments, we get a diverse range of smartphones, which offer advanced technologies that make it function just like a computer. The smartphone was first introduced in 1994 to bring a revolution in the mobile industry. It consists of very advanced features like internet, instant messenger, upgraded keyboards, and so on, which make these devices extremely useful for different purposes. With the passing years, new companies come up with the latest smartphones with advanced features. If you are willing to purchase a new smartphone, then there are several things to consider before buying a new phone in 2018. There are a lot of factors like operating system, camera, battery, processor, display, etc., that you should keep in mind before purchasing a good smartphone. In this article, we will discuss the features which make a smartphone more adaptable. So, go through the article and get some basic idea about the important features of a cell phone. Picking up the perfect smartphone for you can be a tough decision, and you can’t rely on the employees at stores as they always try to influence you to purchase a particular brand. Are you tired of searching “help me choose a smartphone” over the internet? 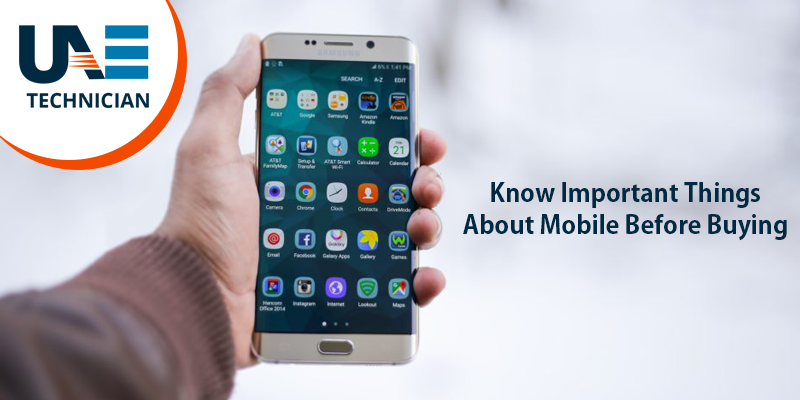 If you are not familiar with the latest mobile technologies, then this article is your ultimate smartphone buying guide that you can consider before purchasing a smartphone. Selection of a new smartphone mainly depends on personal taste, which varies from man to man, but a good outward appearance is an important feature for everyone. Some people like more rounded lines with curved design, whereas others prefer a sturdier look with sharp metal edges. Also, a lot of phones come up with glass front and back with perfect fingerprint sensor position, which is becoming very popular nowadays. So, choose wisely the one which suits you the best and is most convenient for you. A display is basically where we can see all the contents on our smartphone. Different companies offer different screen display size and type. The first thing you should keep in mind is the proper display size. There are several display sizes, but more than 5 inches would be perfect for a good display. Bigger the display, bigger the phone, so consider the display size according to the measurement of your palm. Another thing you must consider is the display screen type. There are two types of display screens namely, LCD and AMOLED. LCD screen has a brighter and better visual display even in direct sunlight. Whereas, AMOLED offers more contrast and saturated colors. So, keep these things to consider before buying a new phone in 2018. A processor is the hub of a smartphone on which the overall performance depends as this is the brain of a phone. The more powerful the processor, smoother the operation of a smartphone. Having a good processor reduces phone hangs, offers lag-free games and faster operating of the apps. 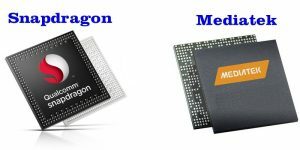 There are two processor brands Qualcomm and MediaTek, which are currently the most popular. The processor also balances the power and battery life. Hence, it is one of the primary things to consider before buying a new phone in 2018. Battery life is one of the important things to consider before buying a new phone in 2018. Battery capacity is the indication of how long you will be able to use your phone without recharging it and this is usually measured in mAh. Higher the mAh, better the phone’s battery life. So, try to choose a smartphone with high mAh. In the current scenario, 3000 mAh is considered as the standard for any smartphone. But there are several factors on which the battery life depends like, a higher resolution screen consumes more battery, while a good processor optimizes the battery performance. Therefore, you need all these things for a good battery life. RAM is the digital storage system of a smartphone, and it holds the data of the active applications. It keeps the data while your phone is active; after a shutdown, it erases all the data. RAM on smartphone measures in GB and you can get from 1GB to 8GB RAM in the present days. To run high graphics games or applications, you can rely on more than 3GB RAM; it enhances your smartphone’s multitasking ability. More RAM can let more apps run in the background without slowing down the phone. Hence, it is certainly one of the crucial things to consider before buying a new phone in 2018. Storage of a smartphone is the amount of space, in which you can store games, applications, and other files. New smartphone companies are offering more internal storage capacity to attract the people. More storage space allows you to store more apps, games, and videos. There are wide ranges of internal memory from 16 GB to 64 GB. If you like to store more movies, applications or files, then 32GB would be standard for you. Along with internal storage, you can also use a microSD card in your smartphone and expand your storage as much you require. So, you can keep these things to consider before buying a new phone in 2018. Currently, smartphone manufacturers are paying more attention to camera facility and quality, as they know this feature attracts more customers. With the advancement of technology, we are getting more number of megapixels, hybrid autofocus, optical stabilization, special effects, high-quality lens etc. Every company claims that their camera is as good as a professional camera with higher resolution. With the high-quality lens, you can capture crystal clear photos with the least amount of effort. Nowadays, we are very much familiar with the front camera, that makes you look better with the latest beautification modes. Also, we are now getting the dual cameras and triple cameras, which are some of the things to consider before buying a new phone in 2018. So, try to purchase a smartphone with the high number of megapixels to capture enticing images and stellar videos. The overall performance of a smartphone depends on how good your operating system is. The operating system manages the software and hardware resources. There are two smartphone operating systems: Android and iOS, which are the most popular today. Both are very easy to use and support a variety of games and applications. As technology is developing, Android introduces new versions of the operating system with unique features and functions. We can suggest you not to buy an old version of KitKat or Lollipop. Nougat 7.1 is the latest operating system, that you can opt for a good smartphone experience. Choosing the perfect operating system is one of the important things to consider before buying a new phone in 2018. Last but not the least, one of the determining things to consider before buying a new phone in 2018 is the price of a smartphone. Always try to purchase a feature-rich phone at the price which fits well within your budget.